These Products are 2nd to none! 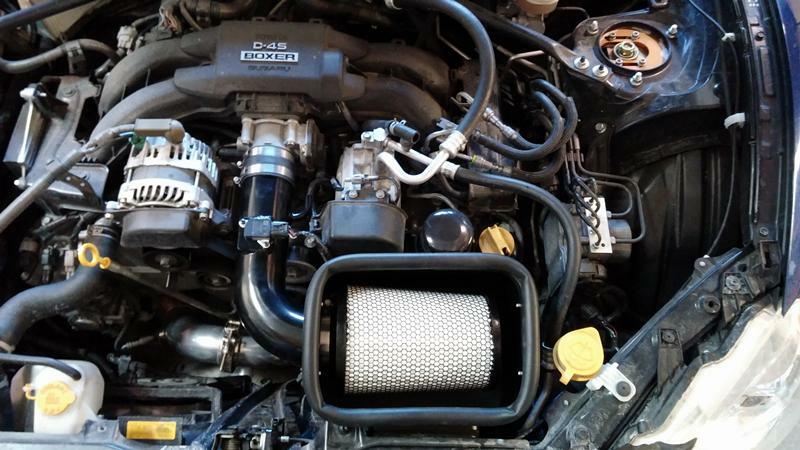 As an outstanding addition for BRZ Rally and dirt racing applications, R2C intake systems provide significant torque enhancement for improved pulling power and acceleration throughout the power band. In addition, our covered air box mitigates any water and debris incursion, helping keep filters clean and dry throughout the race. Our clear, wraparound cover allows for quick filter inspection. Unmatched performance, sound and underhood appearance are now available for FRS / BRZ owners with R2C's new CFD designed cold air intake system. CFD Designed intake system produces maximum power and torque. +11.93 HP at 6870 RPM along with a gain of 10.7 Lb./Ft. of torque. Choose from 3 different intake tube finishes: black powdercoat, polished or the stunning depth and clarity of R2C's black nickel option. Heat shield /air box provides cool intake air temperatures and is available with standard hood edge seal or select R2C's crystal clear, show quality air box cover for show car looks! 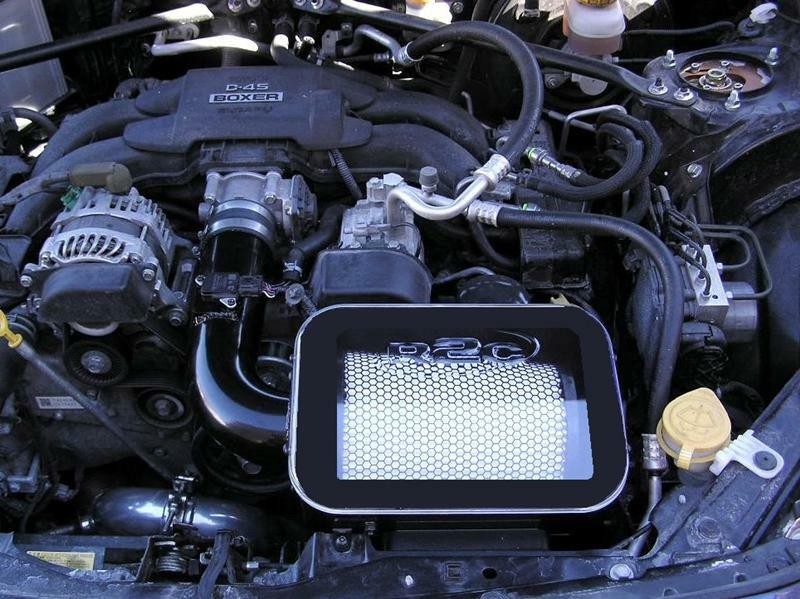 Features R2C's patented lifetime 1460 CFM performance air filter for the ultimate in airflow and engine protection. Simple maintenance and No Oiling! The best performance filter in the business! Now available with the new Black Hex Series street/race filter for even more power. Already have an intake system? Now you too can take advantage of the power of Black Hex ! Visit the conical filter page for sizes. Add To Cart Using The Toyota FRS page.